The United States Mint recently revealed plans to offer a two roll set for the newly redesigned 2010 Lincoln Cents. The reverse design depicts the Union Shield to represent Lincoln’s preservation of the Union. Together with a restored version of Victor D. Brenner’s portrait of Lincoln on the obverse, this new design will remain in use for the foreseeable future. Although exact details of the offering have not yet been announced, the release is expected to take place in the month of March. This will be the first numismatic product offered by the US Mint which contains the 2010 Lincoln Cent. The official launch ceremony for the coin had been held on February 11, 2010, although coins had started appearing in circulation about one month earlier. Based on similar product offerings from last year, the 2010 Lincoln Cent Two Roll Set is expected to consist of one roll of 50 coins from the Philadelphia Mint and one roll of 50 coins from the Denver Mint. These would be packaged in custom designed wrappers indicating the year, mint, and face value of the contents. If pricing remains the same, the sets would cost $8.95 each plus applicable shipping and handling charges. Last year, the United States Mint had offered a similar product for each of the 2009 Lincoln Cent designs. The first two roll set featuring the “Birthplace and Childhood” design was released on March 13, 2009. This date was approximately one month after the coin’s official launch ceremony and first release into circulation. The sets sold out on March 26, 2009, after reaching sales of 100,000 units. The second 2009 Lincoln Cent Two Roll Set offering featuring the “Formative Years” design went on sale May 14, 2009, the same date as the official launch. This second set sold out after about three months of availability and sales of 300,000 units. The two roll sets featuring the third and fourth designs representing Lincoln’s “Professional Life” and “Presidency” still remain available for sale on the US Mint’s website. I really hope they limit the amount they produce/ allow per household. It really is just a stupid money game and less of a collector oppurtunity. All of the 2009 Lincoln Two Roll Sets initially carried a five set per household limit. Maybe the same limits will apply to the 2010 sets. Why make 2010 cents when the Mint has released only a few 2009 cents at a few places of their choosing & sold a few rolls directly from the Mint at an 800% mark-up to a few fools like myself. Coin collecting is certainly not as fun as it used to be and that is an understatement! Many of the new coins produced for circulation are never going to be seen in circulation. I have not seen any Puerto Rico, Guam, American Samoan, or U.S. Virgin Island Quarters in circulation. Why is it that only big dealers/distributors have access to unlimited quantities of bank rolls of these quarters and the pennies at face value whereas true coin collectors have to search forever to find even one coin??? I cannot get them even from my banks. It appears as though the U.S. government is trying to narrow the gap in its multi-trillion dollar deficit by gauging the honest coin collector by charging us exorbitant prices for coins such as the penny rolls. Really, a 900% mark-up for pennies. If somebody charged someone 900% for a loan, they would be incarcerated but the U.S. government has carte blanche and do anything it wants with impunity! And apparently the Mint is planning to increase prices on the Proof and Mint sets for this year even though there are 6 less pennies in Mint set & 3 less pennies in Proof set!!! March 14, 2010 you hit the nail on the head!!! That’s why this year will pretty much be my last year at this coin collecting “Thing.” Thanks to the US MINT coin collecting has become more of a circus than a fine art. They have made a joke of what use to be a trustworthy and valued hobby. Now coin collecting like everything thing else in capitalism, has created its own manufactured supply and demand agenda for the profit of the dealers and their constituents. Tell me how valuable would gold be, if whenever the powers at be wanted to put more money into their pockets, they would decide to just make more gold? All the finagling that is going on between the US MINT and their dealers to manipulate the market has made what was once a legitimate investment into “Fools Gold.” What is needed right now in order to bring back the integrity of coin collecting to this nation is for those who are in fact truly coin collectors, to stop being enticed to buy this inflated junk that is being pump out into the coin market. We are really only fooling ourselves if we think that all this mess that we have to deal with and that comes out of the US Mint is by accident. From my vantage point, what I am seeing lately is that when it comes to coin production, when the US MINT sees the opportunity to make more money for itself, then they just make more coins. They only will break the mold when it is to their advantage or when it is profitable for the dealers they sell to. Believe me this is a racket and they are purposely taking advantage of the millions of new comer that have recently began collecting coins by inflating the price, manipulating the market and creating what will soon be worthless coin. And February 18, congratulations! It seems to me that you’ve figured out the game. Now do we as coin collectors really want to be a part of this facade? i have been collecting coins for 40 years.in the last 4 years i have seen a shift from giving the average collector a fair shake on purchasing u.s. coins from the mint,it has tilted toward the big coin dealers. 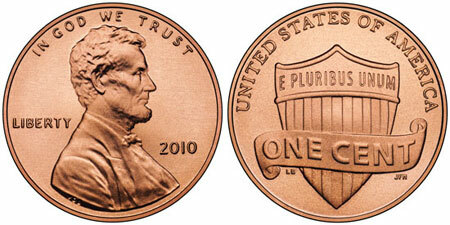 it was very noticable with the 2009 lincoln pennys from the log cabin to the presidential penny. when not being able to find these coins i paid the rip-off mint price of wnen buying the 5 set limit with the shipping of $10.00 for $1.00 of pennies.the mint all during 2009 on there web site said there would not be any 2009 gold proof or uncirculated gold coins perduced also on the same web site they said that there would not be any silver proof or silver uncirculated coins with the 2009 date on them.a few monthhs later on a tv coin show they were selling both the gold proof and silver coins with the2009 date on them the sales person went on to say that the U.S.mint had made some of these coins for 5 big coin dealers.what kind of a deal is this?if you go to the U.S.mint web site today you will probably see this fact printed when you click on both the gold and silver coins.is the U.S.mintflat lying to the public or are they going to tell us as the did last year that they will not have enough blanks to put out the gold and silver coins with a 2010 date on them?and then put them out with a 2010 for their perferred dealers? i hate to say it but this just look like the mint is being run by a bunch of liars. Is their any value in circulated perfectly fine 2009 and 2010 pennies? I have Tons cause they look interestingly different. how can you tell the p’s from the d’s on the lincoln pennies other than in the rolls. looking at the 2009 and the union shield, I have yet to see a mint mark.